Dave Dobbyn has remained a household name across New Zealand since the late ‘70s, known as an iconic musician, singer–songwriter and record producer. Dobbyn has written the soundtrack to kiwi lives, with an extensive list of chart-topping hits. He holds the most Silver Scroll Awards for song-writing, and in 2001, was given a lifetime achievement award by the New Zealand recording industry. Dobbyn has used the original QSC K Series powered loudspeakers for many years for his live performances. 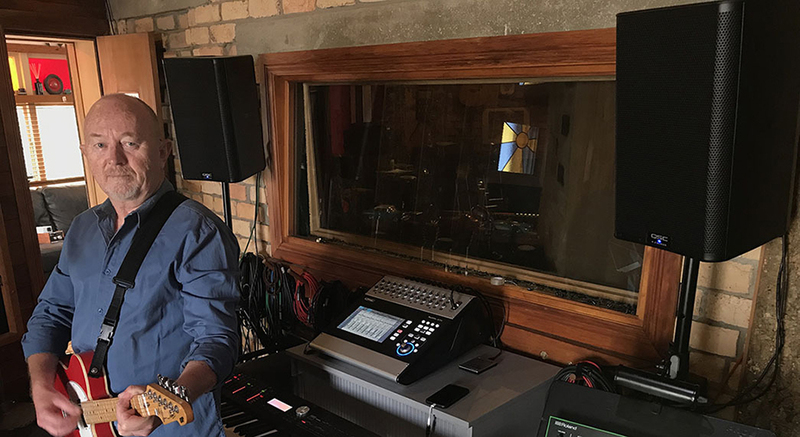 When QSC released K.2 Series Powered Loudspeakers and the TouchMix-30 Pro Digital Mixer in 2016 he adopted a pair of K10.2 powered loudspeakers and the TouchMix-30 Pro for use in live and rehearsal performance applications.